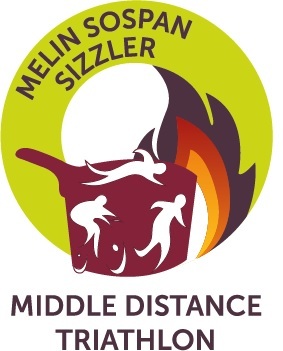 Melin Consultants, providers of sustainable building and construction solutions, are pleased to announce that they will once again be the main sponsor of this year’s Melin Sospan Sizzler Middle Distance Triathlon. Held in Burry Port on Sunday July 29th 2018, the event is organised by non-profit organisation Healthy Life Activities. This is the only middle distance triathlon to be held in Carmarthenshire and the challenging hilly bike course attracts athletes from across the UK. The Melin Sospan Sizzler Middle Distance Triathlon will start with a 1,900m early morning sea swim, encompassing two loops from Burry Port Harbour. The bike leg will then take competitors on a two-loop 90km course around the Gwendraeth Valley, taking in the legendary Meinciau climb not once but twice. The final stage will be a fast and flat 21km run along the stunning scenery of the coastal path. While most competitors will be looking to complete the event in under 9 hours, the winning time for the inaugural year in 2016 was an impressive 4hrs 53min. As part of the event sponsorship, Melin will be looking to attract a number of corporate relay teams from Carmarthenshire and further afield. As well as the opportunity for the winning team to lift the Melin Sospan Sizzler Challenge Cup, Melin will also be donating £100 to the nominated charity of the winning corporate relay team. This will be doubled for a winning team that beats the current course relay record of 4hrs 49min. Melin Consultants are based in Dafen, Llanelli and provide sustainability solutions to construction projects throughout the UK. This includes a host of specialist services from renewable feasibility studies to thermographic surveys identifying cold bridging in building fabrics. Healthy Life Activities offer the largest diversity of mass sports participation events in the country. These events cater for individuals of all abilities and ages. A not-for-profit organisation, their events offer great value for money. With 108 events organised over the last 16 years, their experience ensures that athletes are at the centre of the process. To date, they have helped to raise over £75k for local charities and community groups including sports groups.